Born in the USSR, I used to be overweight from about 10 years old & nerdy as long as I know. In 2004 a 20 year old me arrived in the States. I got into working out and went from not being able to do a push-up to qualifying for the CrossFit Games and have owned a CrossFit gym and doing it full time with my wife since 2007. Around 2016 I got into doing random projects which grew into a fantastic hobby. I've always loved travelling, food (especially BBQ), reading. And always wanted to write. Eventually a critical mass has been reached and this site was born. Since I like to do a bunch of stuff - the blog follows the same pattern. I'm a huge fan of nuclear age and post apocalyptic stuff of any kind. Big part of that is probably my hometown of Snezhinsk (formerly secret Nuclear Research town) and my Dad, who was a constructor of guess-what at our home town. If you need my help with anything or want something made - contact me. 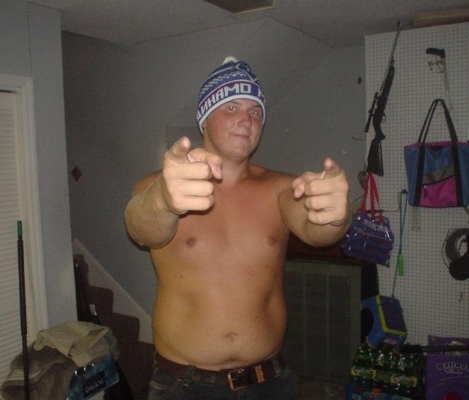 Back in 2004 at about 255 lbs. At the 2010 CF Games Regionals with my brother Andrei. My Story: Much Longer Version. I was born in a small, formerly secret nuclear research town of Snezhinsk in the USSR. At the age of two and three I ended up in a hospital for about a month each time. Bronchitis, if I remember correctly. That set the tone for the next couple of years - Mom & Dad would send me to kindergarten for a week & back home sick for the next three. Snezhinsk is also mere 30 miles away from the 3rd worst nuclear disaster in history apparently - “Mayak” or Kyshtim Disaster. Growing up, my Dad used to tell me about the basics of nuclear combustion when I was a kid: two hemispheres of plutonium set up on hollow heat dissipating cones and only brought together when it was the time to...you know...chain reaction. Who doesn't want to understand the difference between fission and fusion early on? Eventually that was behind, with just asthma and seasonal allergies to bother me and my very athletic parents. Mom was captain of her basketball team and Dad was a swimmer and a runner (sub-15 minutes for 5000 meter run, not sure about the swimming times). Considering the younger days, I was doing quite well at this point - soccer, basketball, skiing, running, even some gymnastics from 5 to 7 (only remember running down the track and jumping into the foam pit). Mom, Andrei, some random kid I can't remember, me and Dad. And then one summer was spent at my grandparents. I was either ten or eleven. Food was amazing: borscht, pierogies, crepes, sweets, dumplings (pelmeni) and more. Last pull-ups & push-ups happened right before that glorious summer. After that, most athletic endeavors were shunned in favor of video games. Sports were the forte of my younger brother, who became the best basketball player in town and went on to play semi pro, while I stuck with academics & games. All attempts at having me eat less, be more active, working out - didn’t bring results and were thwarted by my enormous appetite, which hasn’t gone away to this day. Video games, not liking anything athletic and having voracious appetite is quite a dream recipe that sweet summer body, eh? Fast forward a few years. I’m now 20 years old, fresh out of Russia on the shores of the U.S.A. discovering the amazing deals that are Chinese buffets and topping the scales at 255-260 lbs. One dollar per plate was the golden rule at the Palace of General Tso. In January 2005 a friend of mine Joe decided that it’s time to take care of his health & wanted to know if I’d like to tag along. That was the first time I stepped foot inside a gym here in the States. So we went at 6 a.m. every day. Well… almost every day. First couple of months were rocky and inconsistent actually. By March Joe was out, however I was hooked and never stopped working out since. In the early gym days most of the time was spent on treadmills & ellipticals, since knowledge & experience was lacking. I just kept coming back. Eventually as comfort level & confidence grew - the drift into exercise machines started - I had to read the labels on them to figure out what to do. Then came the free weights & gymnastics. Despite my height & size I was always drawn to gymnastics, so I fumbled around at the Open gym at a local place (rare to have a local gymnastics place with hours for adults) and watched some tutorial videos on the “interwebz”. Even tried a backflip in the backyard with a couple of mats under. Of course I ended up landing straight down on my head & luckily I only got a very sore neck for a few weeks, but no damage otherwise. It was a very important lesson on making sure proper progressions are followed and safety should be paramount. My neighborhood had a great loop for running, so I did that frequently as well. And of course I started picking up nutritional information from books & articles. In the first year my weight went down to 230 or so. As I learned & tinkered - eventually I came down to 195. Around the same time I became a personal trainer at a local big gym chain and actually met my future wife Monique there. Running, lifting & gymnastics became my regular routine. Looking back it’s no surprise I found CrossFit & been doing it ever since. It’s perfect for my do-a-bit-of-everything personality and general versatility for everyday life. Monique & I have owned a CF affiliate full-time since early 2007. Highlights of my newfound fitness were qualifying for CF Games in 2009, competing with guys like Rich Froning and my brother at the Dirty South Regionals in 2010 & podium at a bunch of local events; going from not being able to run a mile to sub-20 5k run; no pull-ups & no push-ups turned into freestanding Handstand Push-ups & strict Muscle Ups. These days however I just enjoy training first thing in the morning before actual work begins. Competitions are a thing of the past and the struggles & sweating are just for the purpose of clearing the head and “enjoyment”. In college one of my favorite courses was graphic design (happened to be the most useful as well) and I've been invited as a kid to go to the art school, but didn't want to. Yet I've drawn quite a bit over the years, mostly cars, tanks and Ninja Turtles (not much for almost a decade though). Between amassing a pretty solid collection of both projects, travel photos and training article ideas eventually the idea to put it all into one place was born and here we are. I find that writing helps me become more appreciative, organize my thoughts and memories, makes it easier to share information (especially the gym stuff) and who knows where it'll go from here. It felt like the right thing to do, so I went with it. If you need to get in touch - contact me. А че не на русском? Я может попозжа переведу, но пока впадлу, если честно. Так что будет пока на английском только.